Above, firefighters at a Wyoming fire. Photo courtesy of the U.S. Forest Service. I’ve never written about my father before, except for writing his obituary. He died prematurely when I was 21 of a heart problem, while working at a U.S. Forest Service camp in Truckee, California. 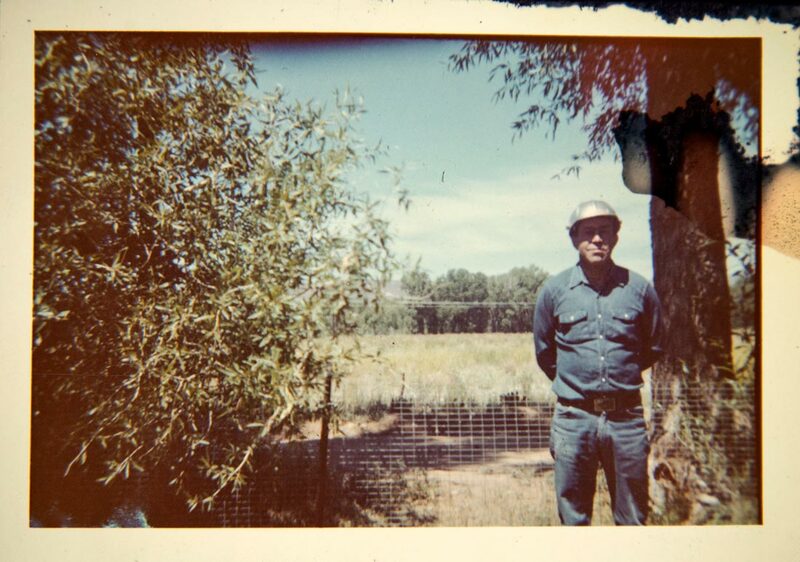 My father, Leon Rouviere, was a Forest Service firefighter and worker. Heart attacks are part of the job. In the United States, 45 percent of firefighter on-the-job deaths are caused by heart disease. One of the world’s most dangerous professions, firefighting escalates the heart rate and alters the blood and oxygen flow throughout the body. Heart disease, unlike the danger of smoke inhalation and burns, can’t be prevented with protective suits and gear. In fact, the clothing and heavy equipment can add to firefighters’ stress. My thoughts turned to my father as Utah firefighters suited up over the weekend and headed to California to help fight the wildfires there. Many of them will miss the Thanksgiving holiday with their families as they seek to contain the flames that have devastated communities in southern and northern California. I pray that they will all come back safely. I also have thought of my father because of the juxtaposition of the California fires, voting, Veteran’s Day and the firefighters who saved my own community of Mapleton, Utah, from a massive fire earlier this year. I decided to write about life in the family of a firefighter because of U.S. President Donald Trump’s tweet on Saturday saying that "there is no reason for these massive, deadly and costly fires in California. Billions of dollars are given each year, with so many lives lost, all because of gross mismanagement of the forests. Remedy now, or no more Fed payments!" 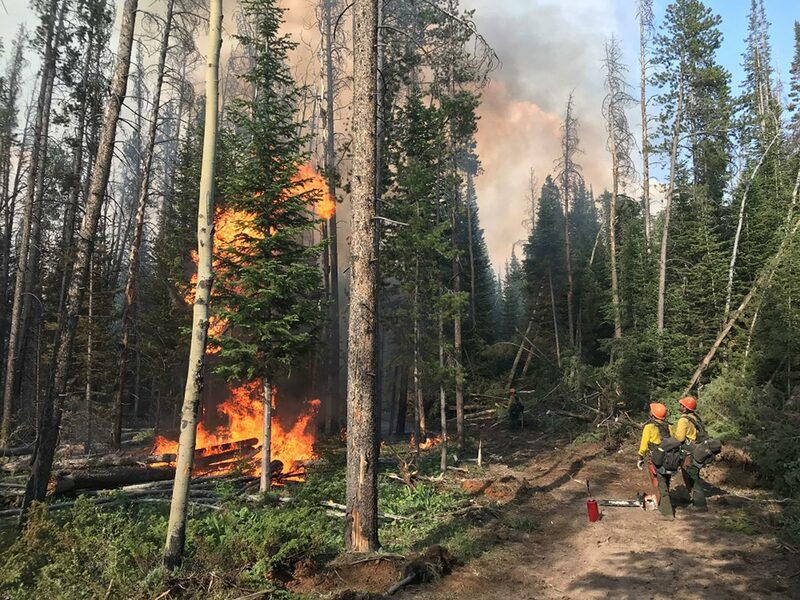 Firefighters took umbrage at Trump's statement because firefighting is a crucial part of managing the national forests. That's what they do. My father in a photo taken during my teenage years. The damage on the photo is from a fire that destroyed our home. Tahoe National Forest was my father’s life. We lived on the edge of it, and he spent his summers fighting fires there and in other California forests. When we would be out enjoying a Saturday family outing and fire planes would fly over, the outing was over. He would hastily drive us home and then leave for the fire camp in his truck, to return weeks later coated with black soot. He said little about what he had done while he was gone, except to say casually that he and the crew he was on had “got the job done.” He would mention a badly burned fawn his crew had found in the forest and had shot to end its misery. He would refer to someone who had been responsible for setting a fire and had been slapped with life-long payments to the government for expenses involved in fighting a fire. This latter tidbit of information was usually delivered as an admonition to be careful while we were extinguishing a campfire. 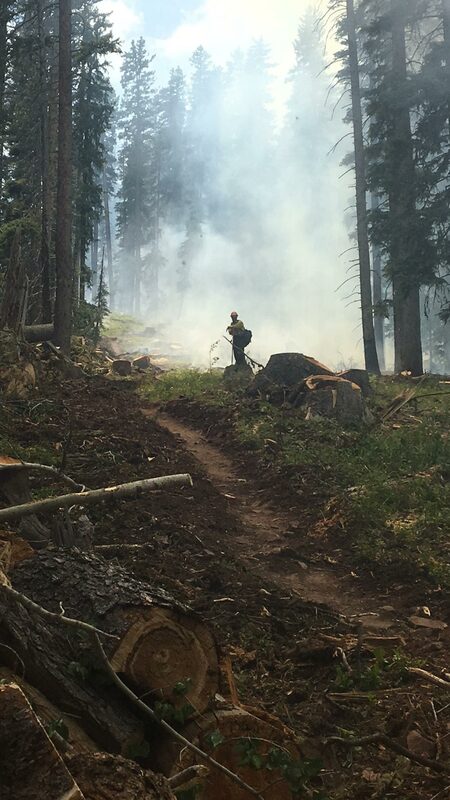 In the intervals between fires, he and his fellow workers managed the forest – walking and maintaining the trails and other facilities, working with loggers to both protect and responsibly harvest the tall trees that covered the Sierras and to keep down growth that helped spread fires. The forest maintained lookout posts that he took me to, crucial parts of a network that contained most fires before they became serious. In the winter when the Sierra Nevadas were covered with snow, all work ceased, the workers were temporarily laid off and they had better have saved a nest egg from the summer work to tide their families over until work ramped up in the spring. My father and his fellow workers would pitch in from their meager savings to help a fellow worker who had met with a misfortune during this down time. The forest workers were natural environmentalists, in a way that transcended politics and simply recognized the fragility of the natural environment, the human impact on it and the need to balance harvesting, growth, public use and protection in line with time-proven principles. My father understood the powerful role of human responsibility in protecting the earth. He got it on the environment because he worked with it daily. He saw even back then the damage that both drought and small changes in the climate could wreak on forests and how powerless men could be to stop one of their most devastating effects, fire. A firefighter working in Wyoming in 2018. Photo courtesy of the U.S. Forest Service. Since he fought fires, climate changes and drought have doubled the number of wildfires in the United States, especially in the West. Despite Trump's claims of "gross mismanagement," 98 percent of fires are controlled without causing serious damage by an army of firefighters from the U.S. Forest Service, state, and local agencies, working together to manage and control the forests. They are highly skilled and trained workers. My father knew most of the trails in the forest, having hiked them with a maintenance shovel. He walked with a limp, the result of having shattered his leg as a young man when his horse had stepped in a hole and fallen on him while they were bringing cattle down from the high Rockies in Colorado. His leg was held together with metal pins. He never complained, so I didn’t know it often ached until my mother mentioned it years later. On weekends when we didn’t go hiking or camping, he fixed the roofs and homes of elderly people in our neighborhood and community and supported Lion’s and Rotary Club fund-raising breakfasts. When our own modest home was destroyed by fire during my teenage years, an elderly neighbor approached him as he was standing in the pouring rain surveying the ruins and told him her furnace was out. “I’ll get my tools and be right over,” he said, heading for his truck to get his tool box and then to her house to fix her furnace. When another neighbor complained that the house fire had scorched a small tree in her yard, he courteously offered to compensate her. There were no tears or drama from either of my parents over the fire. They methodically contacted the insurance company, sifted through the ashes to find the remnants of my grandmother’s antique silverware and the fireproof box in which they had prudently placed family photographs and documents, loaded salvable items in the truck and moved on. To this day, when I see a truck with compartments on the sides like my father’s, I smile, remembering his tools that seemed capable of fixing anything and us sitting in the cab singing along with the radio while we bounced over dirt roads in the forest. Our house fire marked the end of my interest in being a teenager. We received enough insurance compensation to replace the home but not anything in it, and home became a busy hive of activity as we refinished furniture from thrift shops and reupholstered old couches in an attempt to rebuild our lives. As we worked, my parents became my closest friends. It was fortunate that we had this time, because I went away to college after that, and my father was soon dead. I have no memories of him from my adult life and my husband and children never knew him, although they have joined me in putting flowers on his grave over the years. After his death, I often ran into people in our community who mentioned him helping them change a tire, fix their car or perform another needed service as he went about his duties in the forest and community. I never saw him drive past someone who needed help without stopping. My father was not a goody goody, but in his mind, he was a public servant and had a mandate to help anyone in need. My widowed mother, who was 45 when my father died and had worked for the U.S. government in both water and forest management for some two decades, went on after his death to work as a civilian negotiator for the U.S. Air Force on the space shuttle project and Vandenburg Air Force base. Both of my parents would scoff at any notion that they were heroes, but they nonetheless are mine. When I think about firefighters and the California fires, I, like Trump, feel strong emotions. What I feel is deep gratitude for firefighters and other dedicated government workers. 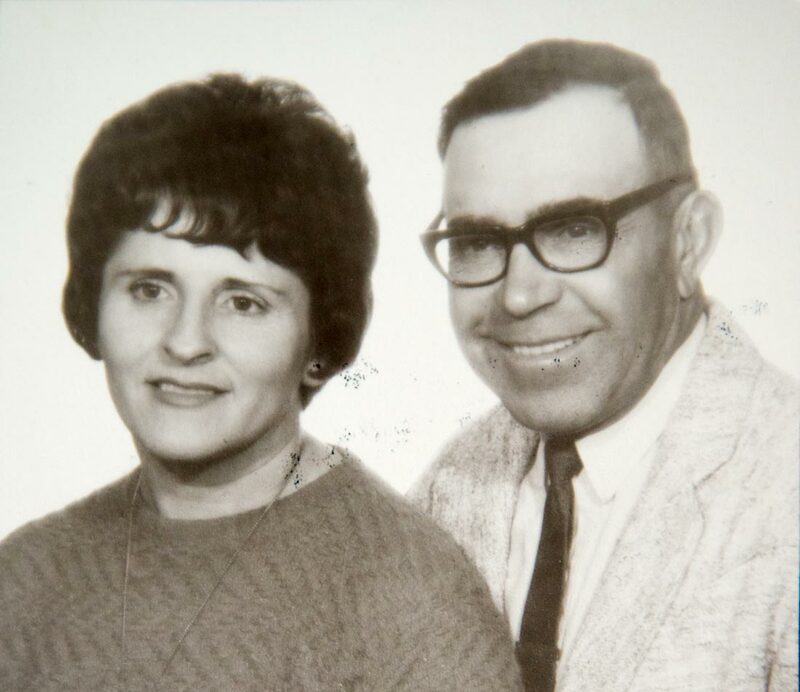 My father and mother didn’t have time to complain about government mismanagement. They were too busy helping make America great.